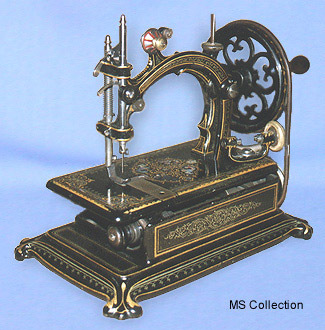 Vintage sewing machine - Hurtu "La Productive". Manufactured by the French Hurtu Company during the 1870's, "La Productive" is considered by many today to be their most desirable model. It is beautifully adorned in gilt and mother of pearl.